Through the years, asbestos law firms have been able to prove that employers were aware of the potential health risks from asbestos exposure but did not do enough to safeguard the health of their workers and indeed continued to use the material without regard for the long term health of the workers. This disregard has turned into legal liability and for those that are now suffering from asbestos related illnesses, asbestos law firms, both local and national can assist you in filing asbestos litigation. Asbestos litigation is complicated as the party to be sued may be located in another jurisdiction than the plaintiff or there are laws regarding the statute of limitations for this case. There is a limited amount of time to file suit after discovering an asbestos-related illness. Large, national asbestos law firms are adept at pursuing these cases and arranging travel as well as other necessary measures. It is likely that you were not the only individual exposed to the asbestos. If you are part of a group of injured persons, then you may currently or have been part of a class action lawsuit that sought redress collectively. If there was been an award or settlement, you may not bring an individual suit against the other party. If you have waived you right to participate in the class action suit, then an individual lawsuit may proceed as normal. Failure to waive the right to participate in the class action suit makes you part of the suit by default. You will need to determine, with the assistance of the asbestos law firm if you are with your right to sue. You may pursue asbestos litigation with the assistance of an asbestos law firm only if you have developed an asbestos related illness. You may not sue for an illness that you believe may happen as a result of exposure. The asbestos law firm will help you determine how you were exposed to asbestos if you are not immediately aware of the exposure. You must gather all documents related to your exposure. For instance, if you were exposed to asbestos while working in construction, bring any and all proof you have of your employment including pay records and contracts. Family members may work with the asbestos law firm if the plaintiff is deceased. If you accrued medical expenses as a result of asbestos exposure, you should bring documents related to your hospitalization, especially the medical bills as this can help the asbestos law firm determine the amount of the award or settlement. Be wary of advertising and never use an asbestos law firm’s advertising as the sole determinant in decided whether or not to retain services. 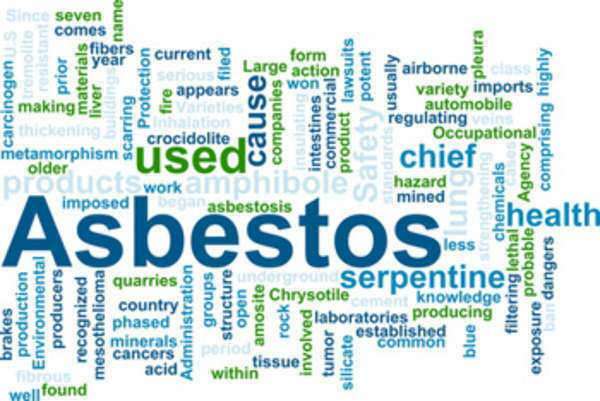 One must ensure that the asbestos law firm they choose to pursue the asbestos litigation case has experience in dealing with these types cases. It is also important to pursue the case to trial if necessary and not accept an easy, low ball settlement. You should be aware of the fees and associated costs with using your lawyer. A lawyer may charge exorbitant fees and engage in other unscrupulous behavior with potential clients. You should be able to arrange a contingency fee, or a fee that the lawyer collects only if a settlement is won. This is a good alternative for those that cannot afford to retain a lawyer under normal circumstances and is the professional standard for asbestos litigation. There are various fees that are accrued when consulting and retaining an asbestos law firm. It is important to be aware of these fees. You should be able to get all fees in writing from a reputable attorney. Some fees may not be applicable in class action lawsuits. Hourly rates are rare in asbestos litigation, but still possible. Before you come to a proper fee arrangement, you may be charged by the hour for the use of the lawyer’s time. Lengthy litigation should not proceed under hourly billing. You may opt for hourly billing while assessing the merits of a case and reviewing evidence against the potential target of a lawsuit. A contingency fee is a percentage of the award that the asbestos lawyer is entitled to claim if they win the case and this is agreed upon by the lawyer and client. Nearly all asbestos lawyers accept cases on this basis and the fee can range from 25-50% of the award with adjustments for settling out of court. Other factors may include the costs of expert witnesses and services rendered. These fees are generally non-negotiable with the lawyer unless regulated by law or accompanying a case with the possibility of a substantial award. If you cannot afford a lawyer, you may be able to find a firm that will work pro bono or on a payment plan. Most asbestos lawyers work by contingency, which assess little initial cost to the client and collect fees as a percentage from the jury award. What fees do I pay for retaining your services? Can I have that in writing? Will I have to testify or travel? Has there been a class action suit related to my circumstances? What is your experience with asbestos litigation? If you cannot handle my case, can you refer me to a firm that can?